With energy efficiency being a priority for many businesses and industries, we can help you reduce your carbon footprint through systems for water reuse and conservation and the optimisation of your on-site power usage. Are you looking to meet government guidelines for reducing your industry’s impact on the environment? Do you need to ensure health and safety legislation is met? Are you taking on a new commercial build in East Anglia and need to accumulate BREAM scores? The good news is, with Panks mechanical and electrical engineers on board, you can do all this – whilst also making efficiency gains for your business. We work with you, the customer, to establish your goals and find the best way to meet them. 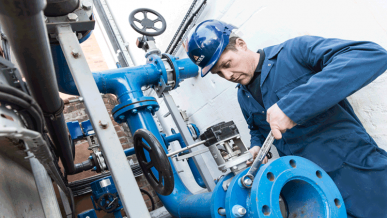 As a full Anglian Water MEICA partner, (Mechanical, Electrical, Instrumentation, Controls and Automation) in industrial equipment systems, we fully understand your need to reduce your carbon footprint and meet health and safety requirements in line with the Environmental Agency guidelines. 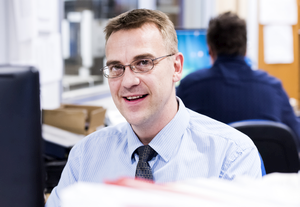 Our dedicated Energy Engineer will assess the performance of your existing systems or plans, and work with you to find the best solutions for improvement. We will overhaul or upgrade all mechanical, electrical or water related components to ensure efficiency gains. Through improved efficiency you can also trim back day-to-day expenditure on maintenance and operational costs, therefore making long term financial gains. Our drive is to find the best practice for your systems. Investing in newer and better motor technology can prove beneficial for both the environment and businesses and industry across Norfolk, Suffolk and Cambridgeshire. For the latest in solar power for heating water, or photo-voltaric panels to generate electricity, we can supply and install the latest technology in solar power. Whether a smaller scale domestic or large scale commercial or industrial developments, a range of kilowatt panels will guarantee you energy efficient returns and a reduced carbon footprint. For more information call us to speak to our Energy Engineer, or drop us an email and we’ll get in touch.